Adobe Illustrator might be the gold standard when it comes to vector software for the Mac, but you don’t have to spend a fortune to create crisp artwork, diagrams, and concepts. Free and cheap variants exist The Best Free & Paid Image Editors for Mac OS X The Best Free & Paid Image Editors for Mac OS X We thought it was about time we compiled a list of our favourite raster image editors for Mac OS X. Read More , and they provide some compelling alternatives. If you’re looking for vector software to take on your next design project, design an icon or simply because you’d like an introduction to the world of vector imagery, you might want to start with one of these first. Vector graphics differ from raster images in one key area: they use mathematical expressions to draw the lines, shapes and colours you see as an image. The best example of this is seen when scaling up a raster, which “stretches” the image to the point where unsightly pixelation occurs. Conversely, vector graphics can be scaled up and down infinitely, as the software merely re-draws the image based on the new instructions. This makes vectors incredibly useful for design purposes, creating icons and logos which will need to be scaled to a number of sizes (and which in future can be scaled beyond current requirements). Vector graphics use simple shapes, lines and curves based on vectors (also known as paths or strokes) and the current W3C standard comes in the form of the Scalable Vector Graphics format, or .SVG files. 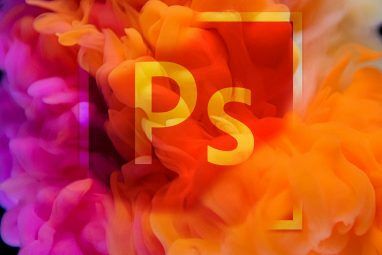 Photoshop, Paint.NET and the GIMP are not vector editors, and instead specialised software like Adobe Illustrator or CorelDRAW is required to design, render and export these graphics to traditional raster formats for use on the web, with existing projects or in print. Vectors are great for creating diagrams, charts, posters, magazines, and scaleable artwork. Inkscape is probably the best free tool for editing and creating vector images. With a long history of development and a keen fanbase that mostly comprises of Linux users, Inkscape works on all three major operating systems and costs nothing for the privilege. Using the open source development model The Best Mac-Only Open Source Software The Best Mac-Only Open Source Software When most people think open source, they think Linux. But Mac OS X has its share of quality open source programs as well — and a bunch of them aren't available for Linux or Windows. Read More , Inkscape’s progress is often a lot slower than rival commercial efforts as a result. Don’t let that put you off, however. The software prides itself on full compatibility with the W3C .SVG standard, which includes support for a number of advancements in vector graphic technology (clones, markers and alpha blending to name a few). Despite the user-friendliness of the program, newcomers to the vector world may feel a little out of their depth and that’s where the extensive documentation and help forums come in. Mac users may need to download XQuartz depending on their version of macOS (the Inkscape project currently “requires” it in the download instructions), and despite the current version being a little outdated by this stage it still works like a treat. Verdict: The best freeware open source vector editor out there, and the closest you’ll come to Adobe Illustrator if your budget is $0. Boxy is a new breed of modern vector graphics editor designed to provide similar functionality to Illustrator and Inkscape. It’s made using and for the modern web platform, hence SVG — the web’s current format of choice for scaleable web images. The app works on a variety of platforms, and includes its own Mac app (or you can run it inside a web browser if you want). The app includes support for the importing or .SVG files, .PNG, .JPEG, and .GIF and integrated support for the Google Fonts library. Transform, grouping, and painting are all supported with pre-set shapes, support for gradients and patterns, and boolean operatings like unite, subtract, intersect and exclude. Verdict: A refreshing free entry to the vector graphics category, built on web technology. Lightweight, free, and begging to be played with. Just like Boxy SVG, Vectr is a free vector editor built on web technology. Not only can it be downloaded for all major operating systems, it also runs in the browser and provides a surprisingly responsive and capable interface. The app is promised to be free forever, and even includes free accounts for syncing your work with other computers and platforms. It’s a strictly 2D affair, and its application is mostly focused on creative and illustrative purposes: business cards, logos, brochures, posters; rather than flow charts and diagrams. Best of all Vector includes a comprehensive user guide as well as tutorials, so you can learn to use it effectively in very little time. Verdict: Free, web-based tool with downloadable offline versions and excellent support via tutorials and user guides. LibreOffice is a popular open source alternative to Microsoft Office, and it comes with its own drawing program appropriately named Draw. Unfortunately it isn’t as feature rich as Inkscape (above) but it does have a few interesting features. The app seems more aimed at users who want to create flowcharts and other diagrams, but also has the ability to create technical drawings, brochures, logos, posters and more. You can work with objects, group them, manipulate 3D objects and color as you see fit. Draw is a great choice for those looking to create network diagrams, visualize ideas, design flow charts, and more — all without a high degree of artistic skill. If you’re looking to create artwork then Inkscape might be a better choice, but if you’re looking for an office-friendly all rounder then Draw is a good choice. Verdict: Lacks the polish of Inkscape, and it’s more focused towards diagrams and charts. If you already use LibreOffice, you might already have it installed. DrawBerry won’t wow you with its Illustrator-beating features or extensive help documentation, but after downloading it just to see if it still works on the latest version of macOS, it still may be worth a punt. The app is very lightweight (at only 3.8MB to download), and though it lacks features and hasn’t had an update since the days of OS X 10.5 — it still works! The key to DrawBerry’s appeal lies in its simplicity. Illustrator’s UI looks like the bridge of the Starship Enterprise by comparison, and while seasoned vector veterans will be pining for the advanced features that are absent here, if you need a simple logo for your low-to-no-budget project, you can do a lot worse than DrawBerry. Unfortunately, .SVG support isn’t great, so this one is best for coming up with your own designs rather than rendering files you find on the web. Verdict: Despite being ancient and lacking in features, it still works, it’s still free, and it might just do the job if you don’t need a hefty vector editor. Pixelmator is one of our favorite alternatives to Adobe Photoshop, and in 2013 it introduced support for vectors. Dubbed “Vectormator” the app provides limited support for vector drawing with shapes and lines, but stops short of adding full .SVG support. This has lead some people to claim that Pixelmator isn’t really a proper vector app, so be aware of this before you buy. 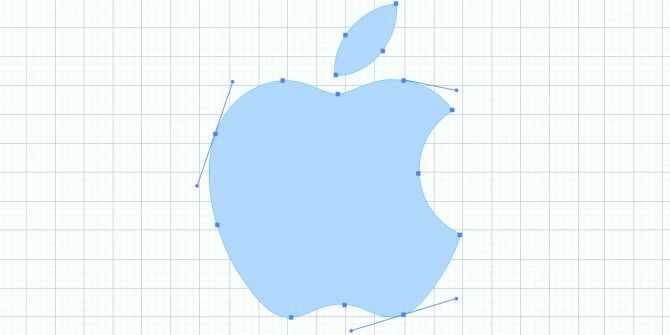 There are a range of in-built shapes and tools for mapping out vectors, though professionals and users who are used to the advanced features seen in Illustrator will probably be left wanting more. Vector mode is activated using the command+shift+v shortcut, allowing Pixelmator to essentially blend raster and vector imagery into one file. New users should check out the tutorials section of the Pixelmator website in order to get up to speed with the software. Verdict: No .SVG support means that Pixelmator stops short of being genuinely useful for a lot of users, but it’s still a great app that can perform many common tasks and it’s cheap to boot. Previously known as iDraw, Autodesk Graphic is a successor to one of the best lightweight vector editors on the platform. It’s $5 more expensive than it used to be, but it still maintains a robust feature set with full support for the import of .SVG, .PDF and .EPS (Illustrator) formats, as well as layered .PSD import and export for Photoshop users. Featuring a good range of tools for drawing and sketching, support for layers, workflow tweaks like an in-place colour picker as well as dimensioning for technical drawings, Graphic makes for a great budget vector graphics editor. There’s also an iPad version ($8.99) which uses iCloud to sync with the Mac client, so you can work on and access your designs on the go. There really is a lot to love about Graphic, especially at such an attractive price point. 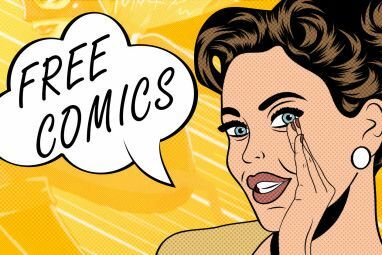 The only thing that really lets it down is the lack of a free trial, so maybe have a look at a few tutorials before you buy to ensure it’s the right app for you. Verdict: A proper vector editor first and foremost, Graphic excels where Pixelmator falls short. If vectors are your thing, Graphic is a good choice. After the glowing reception received by raster and RAW editor Affinity Photo, Serif Labs introduced Affinity Designer to take on the vector market. It’s specifically targeting Adobe Illustrator’s subscription model with a one-off fee of around $60 (the website differs from the Mac App Store, which occasionally knocks 20% off the price too). Affinity claims to have the best Photoshop .PSD import engine around (I’m not sure Adobe would agree) with support for .PSD, .PDF, .SVG, .AI (Illustrator format), Freehand and .EPS file formats to boot. There’s 16-bit per channel editing, support for slices, realtime masks, adjustment layers, and graphics tablet support. That’s alongside all the usual basic features expected from such a package — a great pen tool, node editing, curve editing, smart shapes, flexible text, and several workspaces that target web, UI or UX, print and concept art. You can even use raster-style effects for the best of both worlds. Verdict: A serious alternative to Illustrator, with no subscription fees. Worth the price of entry for those who need a professional tool at a mid-tier price. The most expensive product on this list, Sketch bills itself as a professional vector program for designers. Looking at a few of the examples on the official site, that’s not hard to believe. The program is built for ease of use, just for macOS, with the aim of producing high quality vectors. There’s even a Sketch Mirror companion app ($4.99) that allows you to preview your designs live on your device, as you work. As you’d expect from a $100 professional-level app, Sketch has all the bases covered – an advanced UI, layers, excellent text rendering and a slew of grids and guides to help you build and design to your heart’s content. Import from .PDF and .EPS (Illustrator), learn the ins and outs with extensive documentation and even get a helping hand with your project by downloading community resources like iOS development kits and icon templates. Unlike Autodesk Graphic, Sketch offers a 15-day free trial so you can try before you buy. Verdict: Sketch is up there with the best of the best vector image editors for macOS, complete with excellent management and organizational tools, and a price tag to match. Alchemy is a bit of a wildcard. It hasn’t been updated for quite some time (2014), and it’s not a program designed for creating finished artwork. However it is capable of outputting a vector image format, which you can then import into another editor and keep working. The app describes itself as an “open drawing project” which aims to explore new ways of drawing, sketching, and creating digital artwork. It’s a “sketching environment” that is designed to kickstart your project, help you come up with ideas, and brainstorm rather than perfect. For that reason there’s no undo, there’s no ability to select lines or shapes, and no editing. Various modules allow you to interact with the canvas in unorthodox ways: using your voice, using random shapes, using a mirror drawing technique, by drawing blind, and random placement and distortion of shapes. Verdict: A random brainstorming app that’s as fun as it is chaotic. Requires the Java Runtime Environment to work, allows export to vector format for further tweaking. Experimental and fun. Xara Xtreme — a free open source version of the premium Windows project, a Mac version was in development at some point. Unfortunately it doesn’t look like the project has had an update at all since 2007. Skencil — a free vector drawing program for Linux that will run under macOS. Unfortunately no updates since 2010, and you’ll need to compile for Mac from source as no binary is available. Karbon — a great free package that’s open source to boot, but requires the whole Calligra Suite to be installed to use. Worth a try if you’re unsatisfied with Inkscape or Boxy SVG. Did we miss any great vector packages for macOS for the designer on a budget? Let us know if there’s something we should check out in the comments, below! Also, take a look at why it’s important to know how to change image DPI 3 Ways to Change the DPI of an Image 3 Ways to Change the DPI of an Image In this article, we explain everything you need to know about DPI and how to change the DPI of an image in different ways. Read More , especially if you’re a designer. Explore more about: Image Editor, Mac App Store, macOS Sierra, Open Source. You forgot Gravit Designer. It's web based, but it's much more advanced than Vectr. I've been using inkscape for lack of free alternatives on macos. I like it most of the time but quite slow because it's on xquartz I guess.. and mouse/keyboard mapping sometimes a bit confusing. ctrl c instead of cmd c for example. Now it seems I can try others. Ironically, I came here as I use Sketch but it doesn't import AI files (apparently. Correct me if I'm wrong). So I came looking for an app to import ai and export as pdf or svg, to be imported into Sketch.. Create, by Andrew Stone, was pretty good... still works... keeps a library... (belight's app isn't here?) what's the best way to transfer workable images between them? Pdf? .eps? I've used .pdf to share vector files between Mac apps, although in 3D apps it seems to strip down to a basic skeleton of the image.... but editable. It's obvious the author is Canadian; which means he's funny and he owns a lot of coats. Sounds like I have a couple of free options for vector software. Glad I found this article. What about Affinity Designer? Is that any good? You forgot the Illustrator-Killer-App: Affinity Designer. It supports CMYK, Lab-Colors, 16-Bit colors, Imports Illustrator, PDF and Freehand-Files(!) and is superfast. Would you stop with the "Illustrator Killer" nonsense!? If you worked at any level with AI, you'd know what Affinity Designer nowhere near AI's capabilities. You simply can't replace a program that has been around over 20 years with a "new kid on the block" app that has been developed in a year, poorly implemented, has vague features, and tons of bugs. Well that's exactly what Sketch could be described as as well, during its first 2 years its popular existence, but it still meant the very abrupt end of photoshops (impressive) 25+ year reign over (UI) design land... it just took another 1.5 years untill you wouldn't get hired anywhere anymore without knowledge of Sketch. That alone makes Sketch one of the best options on this list.. although they still (and will) need to improve one or two things before I personally will write off illustrator entirely. And budget isn't even any factor in this choice making. Good to see that healthy competition is seeing a shift in Adobe's monopoly. Out of interest, what other factors are there beyond budget for opting for Sketch? It seems like the primary motivator for those who don't mind a decent initial investment to own the product outright, rather than Adobe's current model which could add up to far more money in the long run. Pixelmator does not — at any version — support ANY vector format import/export. Your article is misleading. I just paid $30 for Pixelmator based on this article as well as the description on the website. I found only after the purchase, Pixelmator does not support import or export of vector images. I located 2 very long threads on their support blog of many angry customers that made the same mistake as me or almost made it and there is absolutely no response from Pixelmator support to any of the blog posts dating back more than 3 years. I do not recommend this app! No it does not. Even switch to VectorMator mode, it just converts vector graphic into pixel map. Thanks for a great list! And you might consider updating this article, now that Serif has Affinity Photos available for beta-testing. I have Adobe CS5.5 Web & Design Premium--was required for school. I've had iDraw for over a year and it's my go to for doing a quick logo or simple drawing. Because it doesn't have the extras like Photoshop and Illustrator special effects, it loads faster than Illustrator so I can get to work sooner. iDraw has all the basic tools for creating vector-based images and then some--like being able to create buttons for websites and drop that code into your document. It's also got some cool features for those who develop apps for for iOS. iDraw documents now provide sub-layers and grouping those sub-layers=very convenient. I found the PDF User Guide to be instructive for not only using the software, but for those who've never used a vector creation app or with limited knowledge or use, the User Guide educates about vectors vs. raster and what the different tools can do. I've gotten 2-3 free updates to iDraw since I purchased it, and these have made the software easier to use, and added functionality. I intend to get Pixelmator and possibly the Affinity apps. I'm currently beta-testing Affinity Photos; and while it doesn't have all the bells and whistles of Photoshop, I don't want or need all of those bells and whistles. Just paid $30 (the revised price) based on your blog post for Pixelmator and it DOES NOT support vector files. Please do your homework before misinforming your readers. I was similarly disappointed. However, on closer inspection, it actually does kinda do vector editing. It’s just not “like” a real vector app in the way it does it. The view is ALWAYS raster-like at the documents set DPI. Combining and subtracting paths isn’t convenient like in a real vector app. And it rasterises even when exporting to PDF. As advertised it bills itself at a full featured (100%) vector app. At first glance, it infuriatingly seems to be barely a 5% featured vector editor. At a second glance though, it actually turns out to be… I’d say 30% featured. Still deserves the FAIL, of course, but just wanna say you might find it capable of at least some of the vector work you want to do. Hi, Thank you for the listing. I am doing graphic design and produce artwork that can be translated to end product. I am not strictly attached to any brands/product of the application/software. How ever being a nerdy at the 80's in my early age, I have been exposed to Broderbund's, Aldus', Adobe's etc. How ever, when software and format limitation being a critical issue on some stages, such as software versions, machines and operators I always find that the native and raw format is the best solutions. Yet still, editable file are the main issue especially in collaboration cycle with others. I'm using Inskcape on Mac/Linux/Windows for the past 5 years and still wondering which alternative application (or stack or applications) that can smoothly produce editable Ai format. Affinity Designer is looking' good! I miss ConceptDraw, non-commercial license cost me about $99. Impressive tool, compatible with Visio native format btw. good ;) thank you .